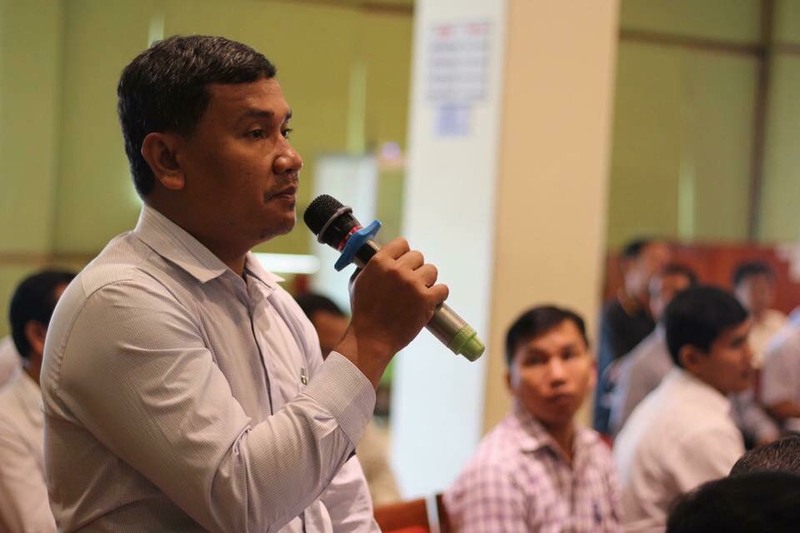 For this month’s e-newsletter, FORUM-ASIA talked to Soeng Senkaruna, Senior Human Rights Investigator and Spokesperson of the Cambodian Human Rights and Development Association (ADHOC), a member of FORUM-ASIA. He has long been active in supporting the democratisation process of Cambodia, and is a dedicated human rights activist. In this interview, Soeng Senkaruna shared with us about his experience working in the human rights field, the challenges in Cambodia, and the way the new generation can take the struggle forward. I became involved with human rights work in 2002, when the first commune-level elections were held in Cambodia. I was part of the election monitoring team. Since then I have been working with human rights activists. Then in 2009 I began working as a Human Rights Investigator at the Cambodia League for the Promotion and Defence of Human Rights (LICADHO), because I wanted to help vulnerable people and victims of human rights violations, as well as to ensure that the rights of people were fully respected. I want to promote social justice and the rule of law in Cambodia. Before I started working at ADHOC in 2014, I had already heard about FORUM-ASIA through social media, particularly when it came to its statements and publications, but I never worked closely with the organisation. However, after joining ADHOC, I started to get involved with the organisation through various meetings and workshops facilitated by FORUM-ASIA to ADHOC’s leadership team. Since becoming involved with FORUM-ASIA, I have felt consistently supported by their efforts to promote and protect Cambodian civil society. Over the last two years, I have joined a number of trainings, meetings and workshops organised by FORUM-ASIA, as recommended by ADHOC’s management committee members. As there are many human rights violations and abuses perpetrated by various actors, including by the State and the private sector supported by political power, I thought that human rights work might give me a chance to help the victims and to protect their rights. Moreover, it is my favorite job based on my own commitment and willingness. My motivation has never changed, because the rights of people are still violated and not fully respected. The most inspiring moment for me is when a target group or victims have been given a proper resolution and benefited from what I have advocated for. For example, five human rights defenders were released on bail after our constant advocacy campaigns in cooperation with other partners. The main challenges I have faced so far are the threats and surveillance by state actors. It has created self-censorship due to the fear of possible criminal charges, arrest, violence, or murder. Such self-censorship hinders my full involvement in public events and media, and it also restricts my personal movement. I always have to be careful, regardless of whether it is for personal or work purposes, including when I give public speeches or comments to the media. I have to identify and verify all the cases of human rights violations in order to make sure that they are true and accurate. We have to keep a low profile when working on investigations, interventions and advocacy campaigns. They need to understand that the human rights field is not about money, but it is all about willingness, contributions and commitment in order to fight for the respect for human rights, social justice, humanitarian support, rule of law, and democracy, as well as to establish a harmonised society for people. These kinds of experiences may help them to raise their profile in society by supporting people in need. If they want to support the vulnerable groups, the human rights field is the best opportunity for them to get involved, even though they may face some challenges, including criminal charges, arrests, murder or having to flee the country. Fighting for the advancement of your country now, might result in fewer challenges for the next generation.